Time is flying by! I cannot believe the fifth episode of “Battle Creek” has already aired! 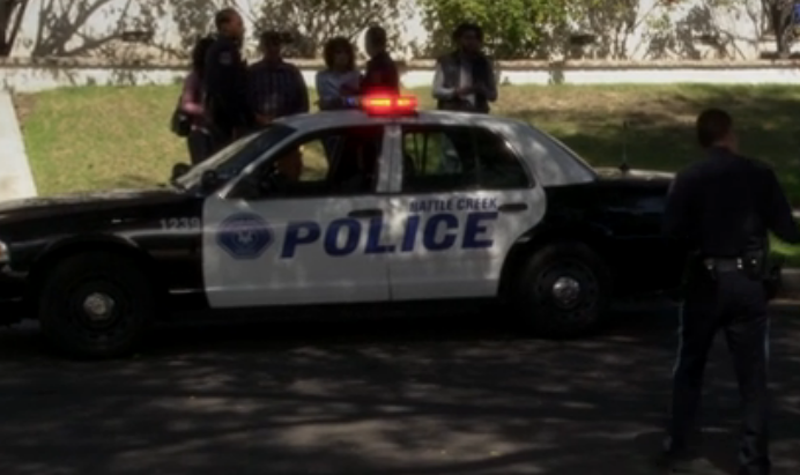 I was having trouble seeing what was similar to the real Battle Creek in this episode until I saw a street sign. Then every similarity started popping up from the cop cars to the ambulances to the names of streets and counties. The cop cars on the show look very close to the ones here in the real Battle Creek. I guess I never noticed it before because of how similar they look. Most are the classic police car look. 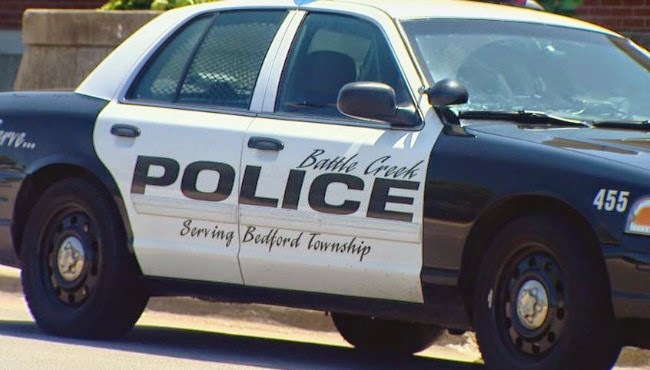 They say Battle Creek Police on the side just like the ones on the show. Another aspect I noticed was the police uniform. Every city is different in what the police wear. The uniforms are different in each city. The show did a great job of matching the uniforms of the real Battle Creek Police. The real BCPD wears navy blue uniforms just like they do on the show. This is something that is not similar to the real Battle Creek. 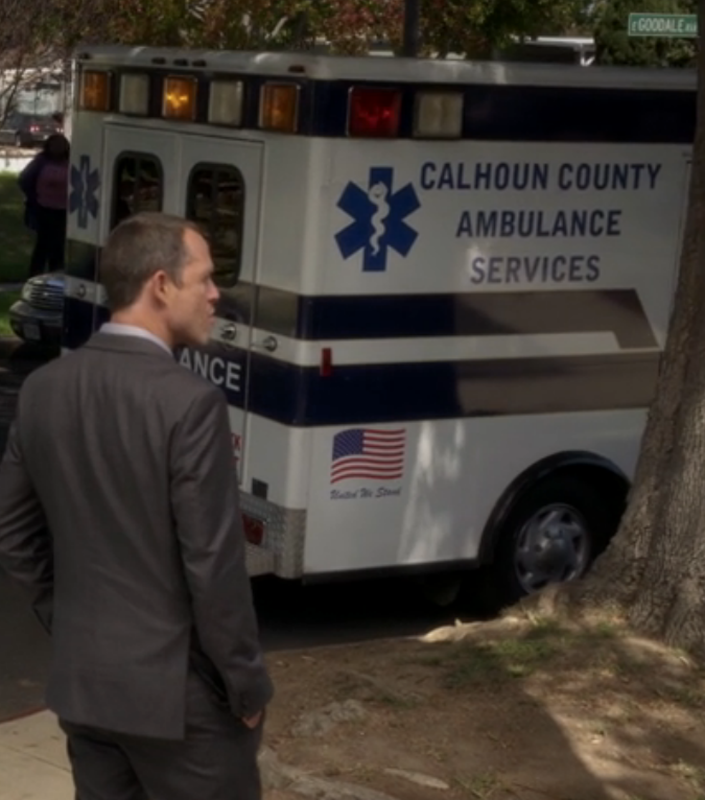 In the shot after Russ and Milt catch an arsonist trying to kill a man, there is an ambulance that says “Calhoun County Ambulance Service.” In the real Battle Creek the ambulances are Life Care Ambulances. The ambulances are blue and white in the show but here they are yellow, orange and white. The one aspect they got right here is the county. The real Battle Creek is in Calhoun County. The show creators have done a great job with street names. In Sunday’s episode I notice a street sign that was Divi sion Street. That exists here! 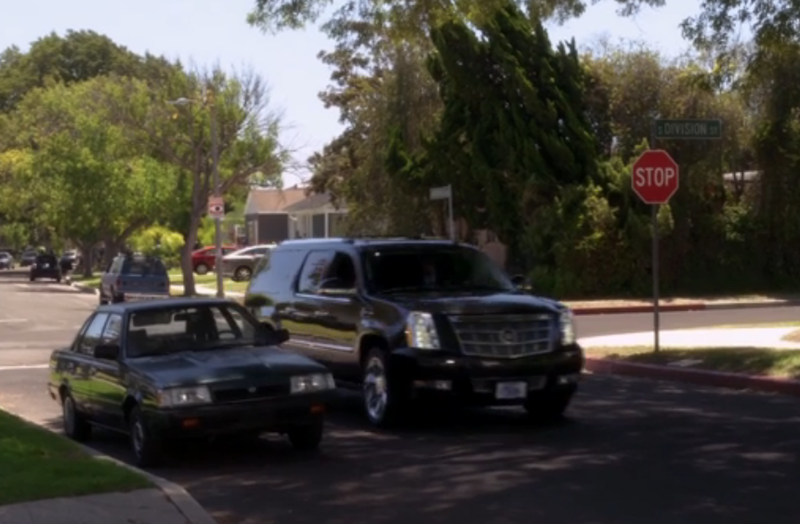 In other episodes they have shown Emmett Street. They have used that one a lot and it is a well known street in Battle Creek.